"SEED SPOT grew the entrepreneurial bug inside me." Omron participated in the Spring 2014 Full-Time Program at SEED SPOT's Phoenix location. He came to SEED SPOT with an idea to start a non-profit to seek equality and fair wages among international workers in the garment industry. But after a major life event, he decided to return to school to pursue a Master’s degree in Biomedical Engineering. After graduating, he was driven to start a business that could provide everyone access to healthcare. With this dream, Telescrypts was born. After forming a partnership with UNICEF to revolutionize healthcare through the use of wearable technology, Telescrypts has become the most mobile health system in the world. This year, Omron started a non-profit to make an impact in the lives of the 74,000 refugees in Arizona. “After seeing how my father integrated as a refugee over many years through technology, I knew that refugees could add tremendous value to the tech sector in Phoenix and the world.” In the US, refugees have few opportunities to pursue higher education and are left trying to find low-paying jobs. The Refugee Code Academy provides coding courses to help refugees become professional programmers. The Academy gives refugees an opportunity to build and expand their knowledge of computer science to pursue a brighter future. SEED SPOT’s Mentors gave me advice on developing my business and branding. SEED SPOT helped me grow as a social entrepreneur and develop new skills to create impact. SEED SPOT provided me with a local network and connected me to great resources throughout Phoenix. SEED SPOT’s Vice President of Communities, C’pher Gresham, provided us with connections that have helped develop Telescrypts. SEED SPOT even provides my business with office space. The reason Omron started Telescrypts was because he was working on wearable and smart technology, and believed he could build a doctor in a phone. 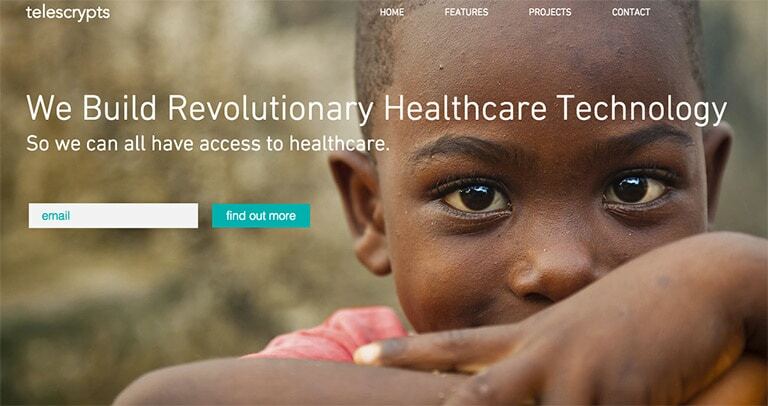 Telescrypts' mission is to provide the most remote communities access to healthcare. They provide access to services that never existed for these communities. Their main obstacles have been getting their product to these remote areas and teaching the healthcare workers how to use this new technology. However, we've been able to get the last known group of hunter gatherers in the world to use our platform... amazing. The Refugee Code Academy has been focusing on integrating refugees into society through technology and job education. In Arizona, the average refugee only gets paid $8.60 an hour, but they show the highest economic growth and the fastest return on investment. Refugees are providing positive changes in their communities despite lacking many basic services. Refugee Code Academy's main obstacle has been the difficulty finding and providing access to basic services they never thought they would need to provide. This August, their new code academy class will begin. They will seek to place 100% of their student refugees into jobs where they are paid on average 4x higher than the Arizona minimum wage. Telescrypts has been featured in TechCrunch, and Web Summit named them one of the top 50 health-tech startups in the world. Telescrypts is expanding this summer to Arusha, Tanzania and has formed a new partnership with IBM. Their partnership with UNICEF gives them the potential to improve the lives of women and children at a national and global scale. The Refugee Code Academy was invited by the United Nations to attend the World Humanitarian Summit in Istanbul this May, where they will be putting on a Hackathon with IBM. This summer, they are launching two new initiatives in Malawi and Tanzania. To help fund this, they are launching a crowdfunding campaign on May 20th. For the campaign they will be sharing a video to expose what it's like to journey from one of the most populated refugee camps in Africa to Phoenix, Arizona. On June 20th, they are launching the largest Refugee Code Day in the world. Five countries are participating in what will become an annual event.